Davis Partnership won 2 of the 6 Downtown Denver Partnership awards! Davis Partnership Architects’ design projects were awarded two of six Downtown Denver Partnership awards last night! This is a huge honor and accomplishment for the firm. 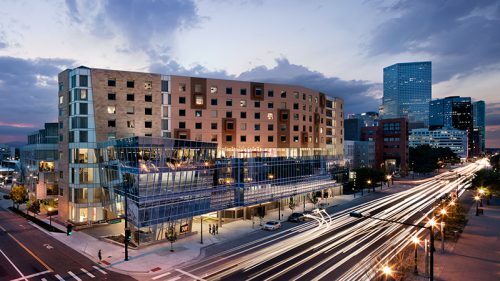 Check out the entire co-development expansion at Denver Art Museum including the ART hotel, Denver Art Museum Hamilton Building expansion, museum residences, retail space, and parking garage. 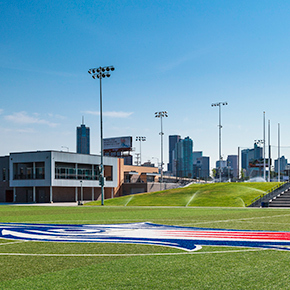 The Regency Athletic Complex at Metropolitan State University of Denver was also recognized. The 13.5 acre brownfield site was redeveloped and is now a thriving venue for students, staff and NCAA athletics.